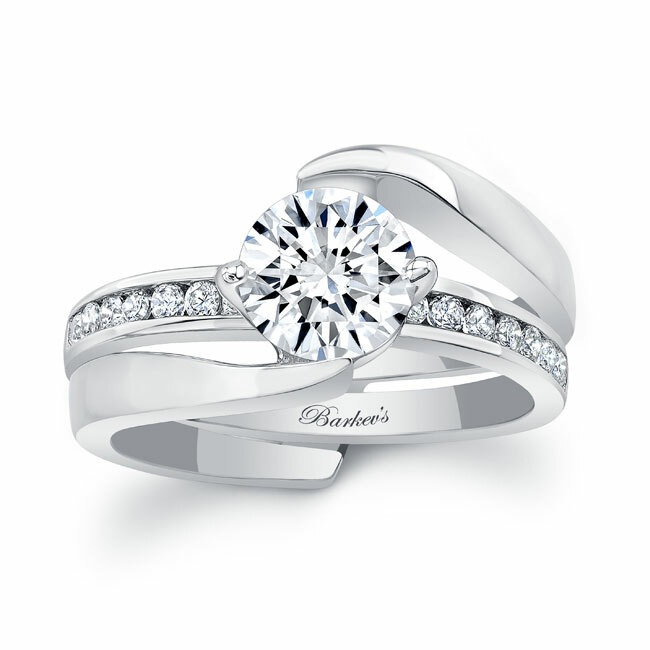 This unique two tone diamond bridal set features a round diamond center stone and an interlocking diamond band. The center stone is cradled in a wrapped bypass setting that highlights the beautiful curves of the round diamond. The wedding band features channel-set diamonds that can be worn alone for a casual look, or can be slipped into the interlocking shank of the engagement ring for an added touch of luxury.